After growing up in Shepparton, Dionne's passion for Real Estate was the driving force behind her decision to move to Melbourne. “I commenced my career as a Sales Agent with a fantastic boutique inner city agency who dominated the residential warehouse market, an exciting and new style of real estate in Melbourne at the time”. Having commenced her career in Real Estate in 1997, Dionne enjoys a thorough working knowledge of both residential sales and rental markets. Dionne added her full licence to her resume in 2008 and opened her office, Harcourts City Residential in 2009. After 7 years as Harcourts City Residential Dionne undertook a trading name change early 2016 to Harcourts Melbourne City to freshen things up in line with the major Harcourts re-brand. “The strength of Brand Harcourts offers, the administration, advertising & technology support along with the acclaimed Harcourts Training Academy help me attract and retain the industries best to form my awesome team”. Often called upon by work and industry colleagues for advice and support, Dionne is considered an area expert. "A great deal of my business now comes not only from referrals from satisfied clients, but also from industry colleagues I've met throughout the years…… It's the greatest compliment as people from within the industry are often the most critical". "I'm very proud of the reputation I've built over the years and now enjoy helping my team build a reputation they too can be proud of”. “Whilst my roles within the industry have changed over the years, there's never a doubt that real estate is 'HOME' for me". Driven and determined, John Hall’s award winning background in residential design and construction (he started his own company at the age of 19), soon saw him expand into industrial and commercial developments which included the construction of ‘drive-thru’ extensions to existing McDonald stores and new stores. John was approached to head the design and construction department with a Canadian golf company, which involved a move to Toronto for two years. It was when John and his family returned to Australia that his interest in the real estate industry piqued. 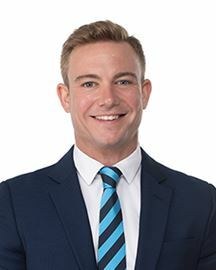 He started out in real estate in Frankston and was then recruited for the new MPRE (Harcourts) Carrum Downs office, within a short time he was the number one performing Sales Consultant in his local area and was achieving record prices. John is extremely passionate about all things real estate; a keen lateral thinker, and is always willing to engage with others and listen to their point of view. John’s energy and creativity are infectious and he is generous and supportive towards staff and clients alike. Strong qualifications and years of experience culminate to a comprehensive knowledge of the industry – his many awards are testament to this – you can be sure John Hall will achieve the best possible result for you. Jarrod is a highly motivated and ambitious individual with a strong work ethic and drive to succeed. Having previously worked in New Zealand and the UK, he has a wealth of international & local experience with a true understanding of what Landlords require from their property asset managers. Jarrod has a diverse background with strong, demonstrated experience in; marketing, business, sales, leasing and property management. He commenced his real estate career immediately after completing his senior education in New Zealand as a member of the marketing team for the largest property management company in Auckland. This is where his passion for the industry was ignited. He was later promoted into managing the leasing division within the company’s busy CBD office. After five years of leading a highly successful team in Auckland, Jarrod accepted a Business Development position in the very competitive UK real estate market where he worked for a number of years. During which time, he was responsible for launching a revolutionary online leasing service in central London. Working at the coalface with landlords and tenants allowed Jarrod to build & maintain a positive impression of trust and integrity with his clients. With his work visa eventually coming to an end, Jarrod reluctantly had to leave the UK and return to New Zealand. But not before taking the opportunity to spend 3 months backpacking throughout Europe, which according to Jarrod “Was an incredible life-changing experience and one that I am constantly encouraging others to experience as well...” As your Business Development Manager with Harcourts Melbourne City, Jarrod understands the importance of maximising rental yield through the prompt placement of quality tenants. Like any investment, real estate performs better when it is professionally managed. Jarrod is looking forward to getting to know you and forging a strong long-term business relationship. Working in partnership with you to achieve and exceed your property investment goals. He will gladly provide you with comprehensive and professional step-by-step advice on current market trends, legislative requirements, achievable weekly rental yields and the confidence to make informed decisions regarding the management of your most valuable investments. To discuss your property management requirements, give Jarrod a call today! After deferring from a Degree in Occupational therapy, Mikaele commenced her career in real estate. Initially employed in a reception and administrative position, a crucial position to any business, requiring a genuine interest in helping people, is where Mikaele’s aspirations to further her career and her dedication to the industry commenced. “Working with people is something I’ve always loved. I was always taught the value of respecting and helping others, encouraged by my family to engage in volunteer work at a young age I learnt to appreciate the importance of giving back to the community.” Through her dedication to learning, Mikaele quickly gained the essential skills to manage her own fully furnished property portfolio. “I was grateful for this opportunity and was able to gain valuable knowledge from senior mentors with vast real estate experience.” After a few years, Mikaele was ready for change and meeting Dionne the Director at Harcourts Melbourne City the decision to join the Harcourts Melbourne City team was easy. Mikaele was excited to work with a company who can offer great training and a brand that is dedicated to great service for their clients. “I'm again excited about my future within this industry.” Mikaele is passionate about all things Melbourne and enjoys an active social life, going to the movies, out to dinner with friends and attending football and netball matches. After working for a prominent property developer as a Sales and Marketing Consultant, Lorraine undertook studies and gained her National Certificate in Real Estate and NZIM Certificate in Management. Utilizing the skills Lorraine gained from her studies she took on the role as a buyers representative for a top agent in Wellington, New Zealand, before joining the Harcourts team in Marketing and Administration. Loving the Harcourts culture and success, Lorraine relocated to Harcourts Melbourne City, as Client Care Consultant, where she is enjoying the new role and the vibrant culture of her new home. “Having spent the majority of my Sales and Administration career in the real estate industry in New Zealand, moving to Melbourne to join the Harcourts Melbourne City Office seemed like the perfect fit. I managed to squeeze in travel to Japan and Africa to tick a couple of things off my bucket list first and am now enjoying the lifestyle and culture that this wonderful city has to offer. I am very much a people person with a passion for property”. Steph’s Real Estate career began	a little over 11 years ago at a Harcourts office in Paremata, New Zealand. The first six years gave her a taste of various industry roles including marketing, administration & accounts for a franchise responsible for 12 offices throughout the North Island. Loving the responsibility she gained with each role but with a passion to extend her knowledge further, Melbourne was next on the cards. 2011 saw a huge change both personally & professionally when she gained her Victorian Agents Representative and became Sales Administrator for Harcourts Melbourne City. Expanding her knowledge in the CBD market she then tested the waters with an even more customer focused role & concentrated on the business marketing material before eventually taking a break to welcome her second child. “Family is absolutely everything to me, moving away from loved ones was a big step but Melbourne is where we now call home, I love this city and all it’s exciting surprises”. In 2015, Steph returned to the work force & joined a local real estate firm as Marketing Team Leader/Manager. Heading up a team of professionals she drove new initiatives and marketing strategies to help build customer communication and brand awareness while continually running the day-to-day office duties & meeting with stakeholders on a weekly basis. Returning to the Harcourts Melbourne City Team has given her the opportunity to tap into her in-depth CBD market knowledge, helping to support and drive the team to exciting new levels by giving their 7 star client reputation the exposure it deserves. “I believe that technology is changing our way of life and is definitely taking Real Estate with it, however it is still a people business & we cannot take away the human element. Returning to Harcourts Melbourne City has been a refreshing change, being part of such a supportive team who really value the customer experience is an amazing feeling & I can’t wait to be part of the next chapter. 8% Return "Oaks on Market"
Convenience with a capital "C"